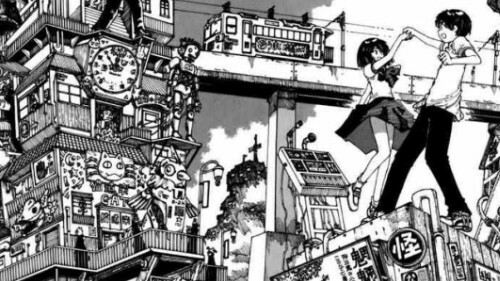 This entry was posted in anime, art, manga, review, thought exercise and tagged medium differences, mysterious girlfriend x. Bookmark the permalink. I agree for the most part, especially about the drooling. 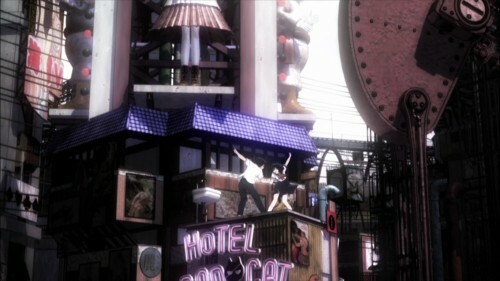 The anime really, really jumps on it (Ending sequence!! argh) where as in the manga it was kind of just there. However I think that might more because in manga the viewer has a more active role in controlling the pacing of his or her reading, which panel to pay more attention to, etc. The anime hams it up for you so you really have no choice in this matter. Of course, I think it’s also a narrative decision. The protagonist is interested in drool to a degree and it might be to just show that. But there should be animation techniques that can work in sync with the manga’s pacing, such as frame cutting in order to simulate manga panels, right? I mean, if we are to take our example manga page, and make a fluid animation of it, then we should be able to simulate panels on the last three panels (Urabe looking, closing her locker door, then leaving) by frame cutting, right? The actual act of closing the locker for example isn’t the “problem” here. That can be achieved in animation 100%. The issue is that on the page the three Urabes create a sort of vertical “column” which then contrasts with the “column” created by Tsubaki on the opposite side of the page. While there is such a thing as scene composition, it’s not quite the same thing as laying out panels on a page. There’s something about this anime that makes me like it a lot. The visual style certainly plays a part, though I can’t exactly point out how right now. The concept of a deeper connection is appealing, and I think they put a lot of effort to make the saliva look “icky” so they can disgust me in the first episode, then make me accept it as something, well, sensual. It hasn’t turned me into a saliva junkie though. 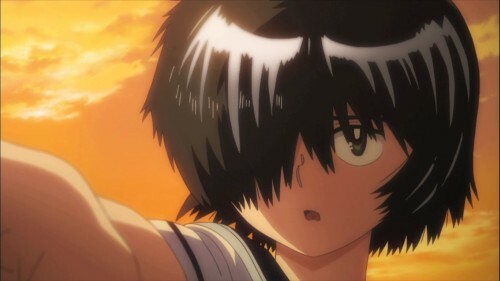 I find myself liking the voice actress for Urabe, probably because she isn’t a high-pitched, loud speaking template we find in a lot of animes. She has a more posed voice and well, she sounds like a grown woman to me. I should add that I didn’t read the manga.